Imogen's Typewriter. 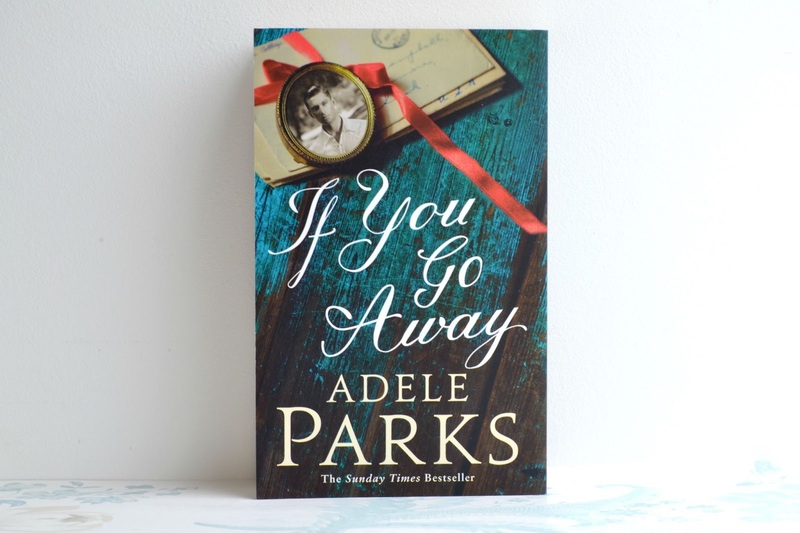 : Book Review: If You Go Away by Adele Parks! Sometimes it's good to wait on reading a book until it feels right, because when you read the right book at exactly the right time, it's beautiful. This was one of those occasions for me. I'd had If You Go Away* on my shelves for about a year and admittedly, reading about war in Europe during the Brexit debacle was a whole lot of negative. However, the hope in this book was exactly what I needed at that time. Set during the first world war, If You Go Away follows two characters over 9 years. This was, by far, one of the most beautiful books I've ever had the good fortune of reading. As a reader, I'm a liberal user of sticky notes. When I like a section of writing, I put a sticky note next to it and at the end of the month when I usually write up reviews, I read over these sticky noted sections and write down my favourites in an inspiration journal. Normally books have three or four quotes. If You Go Away had seventeen. With Howard being a writer, his thoughts are full of beautiful prose, "He wasn't a soldier; his pen was his weapon." And while I don't think you can tell the difference between the characters chapters that explicitly, it's third person so I'm not particularly bothered. The subject matter is so different because men and women lived such different lives back then, that it's easy to tell when you're reading about Howard or about Vivian. As a conscientious objector, Howard Henderson makes a lot of brilliant points about the nature of war and how unnecessary it is. To borrow his words; "Why would the biggest and bloodiest war turn out to be the one that stops it all?" I do love a logical character. And again, I think it is still relevant today, there are only 10 countries in the world not currently 'in conflict'. I've already said that this is one of my favourite books, but I'll add to that and say Howard is one of my favourite male characters. The other character that this book focuses on is Vivian, and she grows so much in this book. From being a spoilt, vapid girl to an inspirational woman, she is possibly one of my favourite female characters! I'm a broken record about this book but it's the truth. This is a surprisingly hard review to write because of how much I loved it. Both main characters feel the effect of their morals on their social standing, and I think the reason that I connected so deeply with both of them is that my morals matched theirs. I was inspired by them. Enid Henderson too, she's a social pariah. Kind, but on the outskirts of the town because her husband left and she kept on going as an independent mother. Comparing her to Vivian's own mother is like chalk and cheese. And the love story. Oh, the love story. My heart hurt in the best way as I read through the years. If the insta-love you see in a lot of books these days is wearing you down, If You Go Away will be the hearty meal you need to build yourself back up. There was no such thing; for a writer it was impossible to overthink. That was his oxygen; to foresee, to second-guess, to imagine. This was more of a rave, then a review as I just can't think of anything remotely bad about this book. I'll definitely be keeping an eye out for more Adele Parks books in the future. And if you want to pick up a copy, you can find it here! Have you read If You Go Away? *I was sent a proof of this book by the publisher. I'm not obligated to talk about it.